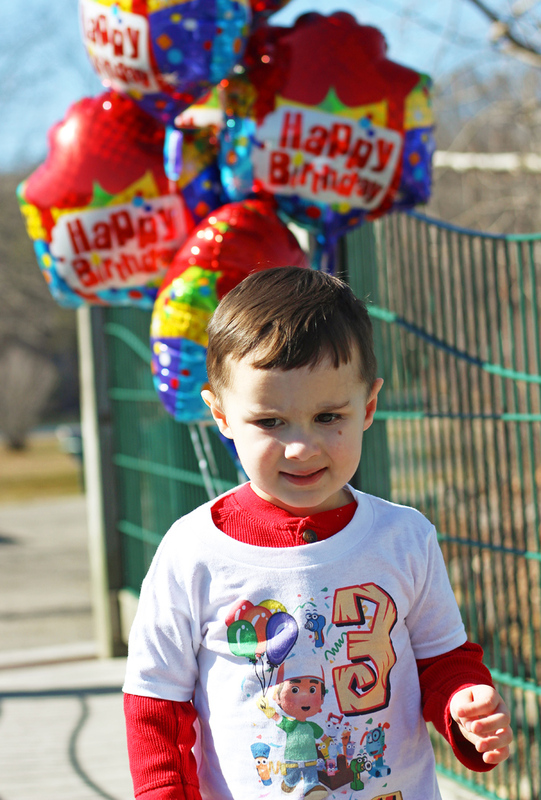 Over the weekend, we celebrated Raylan's 3rd Birthday. 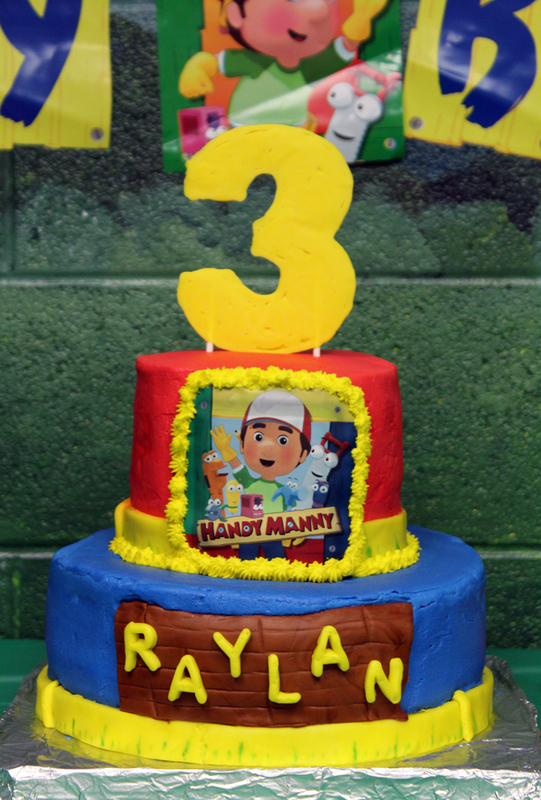 If you know Raylan at all, then you know his huge obsession for all things Handy Manny. 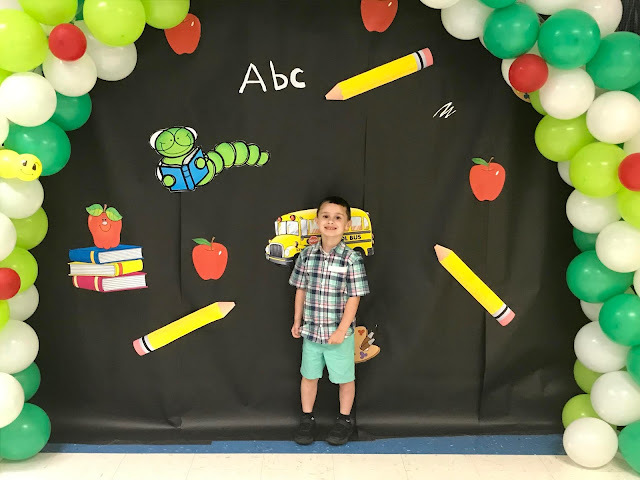 It is his absolute favorite, so a Handy Manny Themed Birthday Party was a given for his birthday this year. I tried to incorporate some Handy Manny Decorations for the party, but for the sake of saving money; I decided to use the color scheme for most of the decorations. 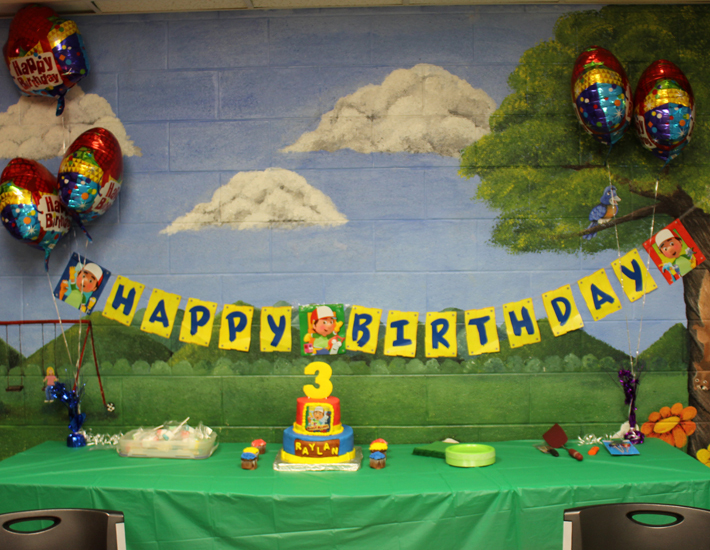 The main colors of Handy Manny are green, red, yellow and blue, so it was easy to decorate. I decorated each table in a different color tablecloth. 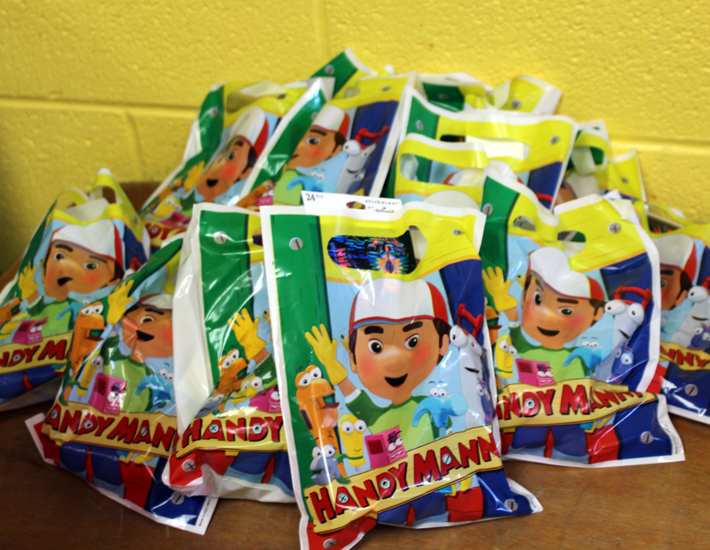 We did Handy Manny Treat Bags, but did basic favors inside. 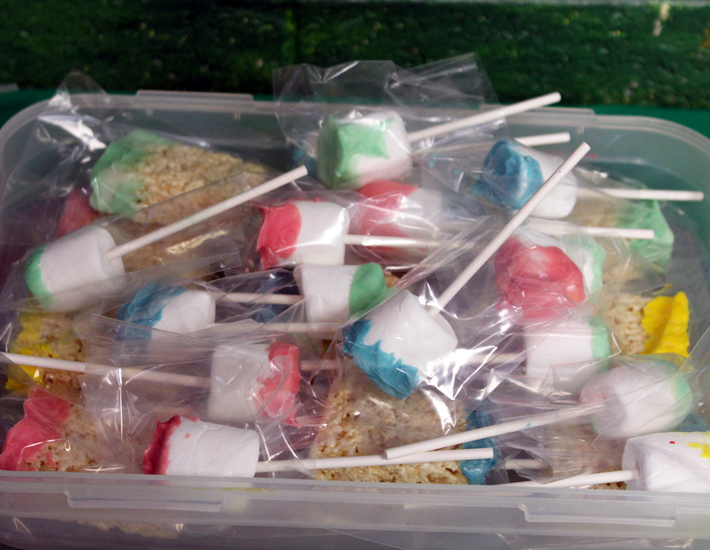 These marshmallows pops and rice krispie treats with a chocolate candy coating represented paint brushes that Handy Manny uses. I also had red lemon berry squeeze Hawaiian Punch in a juice dispenser that I forgot to take a photo of. For food, we had Papa John's Pizza and chips. 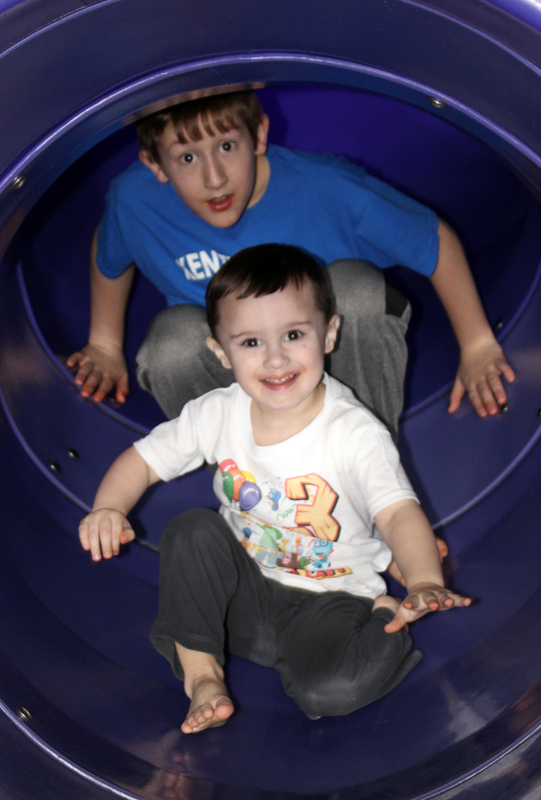 Justin and I decided to have Raylan's party at our local Fun Zone which was perfect for all the kids. It kept them busy and they had tons of fun. 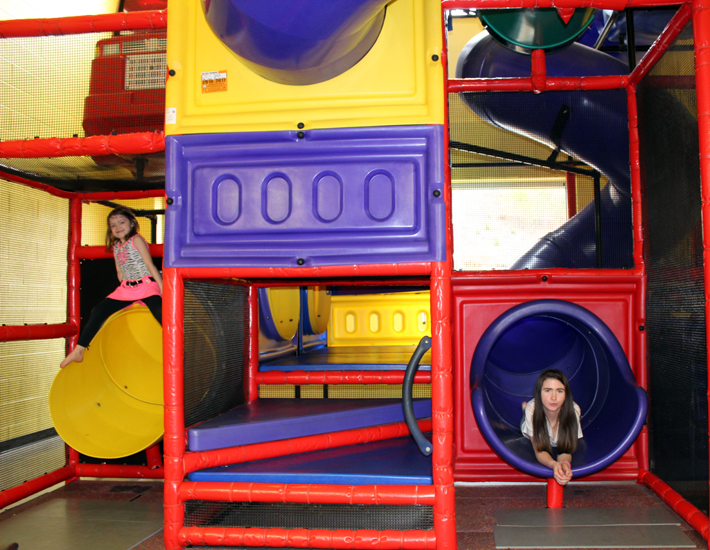 The colors of the Fun Zone also matched perfectly with the party theme. I let Raylan and Justin pick out the cake this year. I love the cake. I think it turned out so well. It's by far my favorite cake that I have ever made, but it wore me out making it. 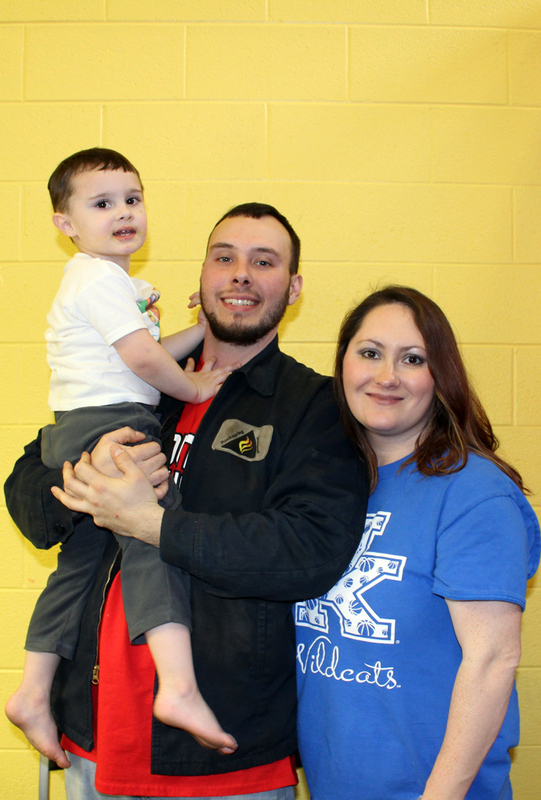 It was hard work, but so worth it to see Raylan smile. He kept wanting to eat it before the party even started. 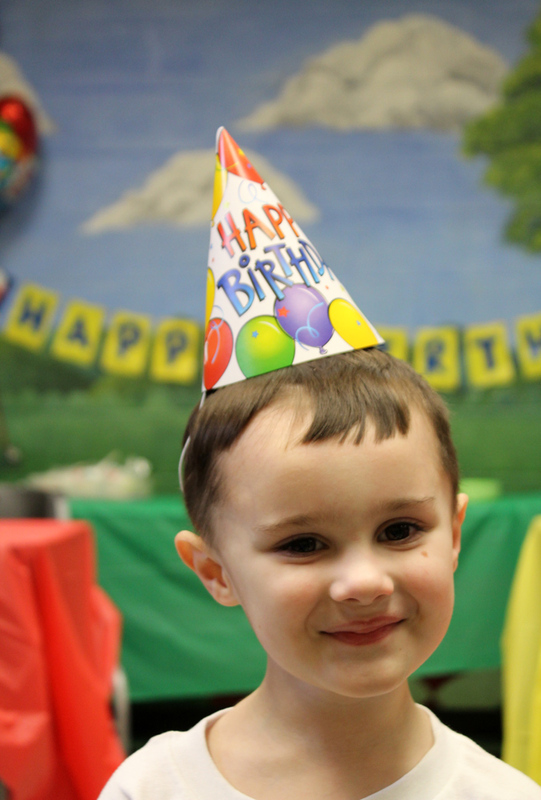 This is by far my favorite photo of Raylan at the party. It was a look of pure happiness. I did basic party hats because the colors went with the theme. I also chose balloons with all of the Handy Manny colors. 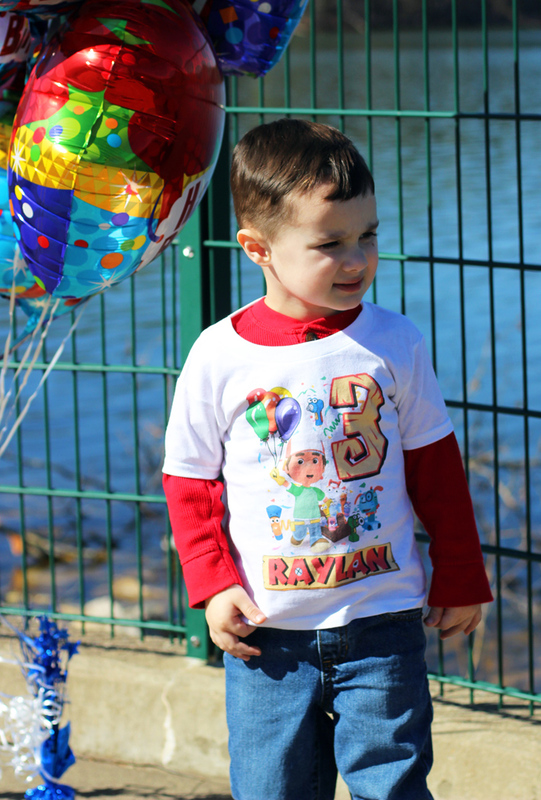 However, I had to have Raylan a Handy Manny Shirt made with his age on it. The shirt came from Handmade Teez from Etsy. 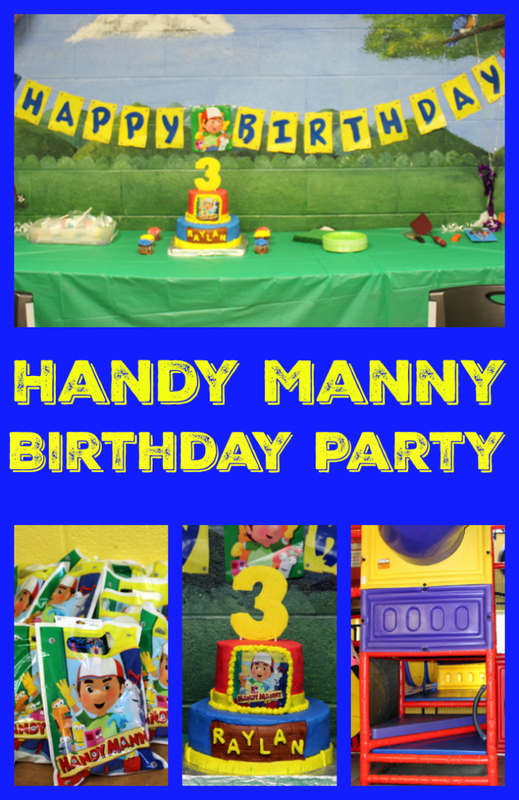 We also did a facebook Handy Manny Invite that we purchased from NiceAnEasy Invites. The Invites were from Etsy as well. Justim and I chose not to buy matching shirts for the party, but decided to wear shirts that matched the color theme instead. This was about the best photo we could get of Raylan looking. He was having too much fun to take a picture. This is my favorite photo of Raylan and his cousin Blake. They sure were having fun coming down the slides. I think the party turned out adorable. 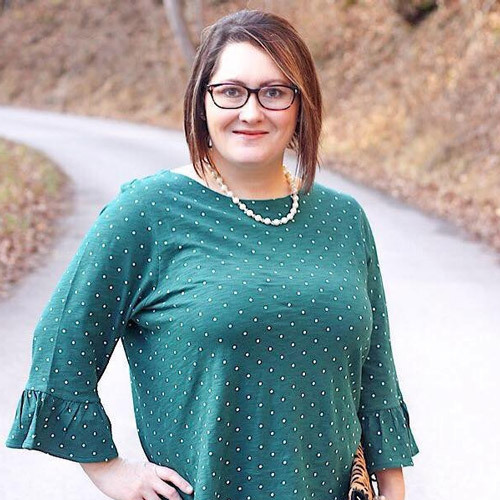 Everything matched perfectly with the theme and everyone seemed to have a great time. Raylan said it was the best party ever.